How the leaders of today may evolve into the future. Once upon a time in West Africa, people shared information through drums. News travelled from village to village across the savannah as a single, unique and recognizable rhythm. 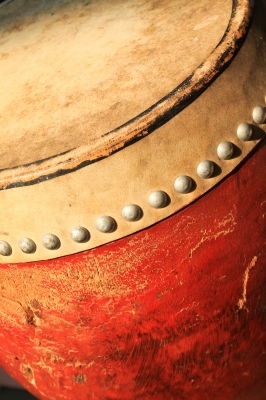 Though the drum is still used today as a tool for communication in West Africa, times have certainly changed. Today talking drums have gone viral and the human race now has myriad ways to access, process and share information. There is no doubt: technology has arrived and technology is changing our world. Today, the avenues for receiving and sharing information have expanded exponentially, changing the way we live, work, play, interact with each other and interact with our world. Within the last decade, the arrival of technology has significantly disrupted the way businesses are run: the internet has become a resource for creating conversation, shaping opinions and instigating change. Technology has placed the proverbial talking drum in the hands of the masses and is playing a fundamental role in shifting the dynamics of power across sectors and regions of the world. The "command and control" style of leadership, whose roots run deeper into history than the rule of Julius Caesar is being challenged every day. This shift in power dynamics means savvy leaders seeking to drive sustainable change and create significant impact in their sectors must shift their mindset. The concept of sustainable leadership, as defined by Dr. John Bowling, "behaviors, practices, choices and decisions that focus on a long term view rather than a short term view" (personal interview, Oct. 10, 2012) is one that demands a shift from traditional leadership styles and thinking. The seven mindsets of sustainable leadership, a concept developed by Steve Schein and John Bowling, is a tool leaders may use to organize themselves around the key perspectives, actions, and behaviors necessary to lead with a long term view in todays' rapidly changing and increasingly connected world. The seven mindsets are accountability, adaptability, collaborative communication, creativity, renewal, strategic alignment, and transparency. These concepts ebb and flow about each other, meld and inform each other, but also offer unique perspectives that can inform and educate the leaders of today who are interested in seeing success tomorrow. Among the most transformative and game-changing mindsets facilitated by the advent of technology is transparency. Transparency inspires trust and trust is an essential ingredient to success. In business, consumers must trust that the product or service being offered is valued. In development, funders need to trust that the money they invest will achieve the desired effect. As individuals, we place trust in our leaders to make the right decisions and not lead us into harm. Steve Schein explains this concept by saying "we find that the more open and honest we are with those around us, the more powerful our words and actions become, especially in times of stress" (personal interview, October 8, 2012). A leader who is transparent about his or her motivations and vision for the future will be better able to harness the trust and engagement of his or her followers. But being open and clear about the positive elements of a leaders' vision is not enough. 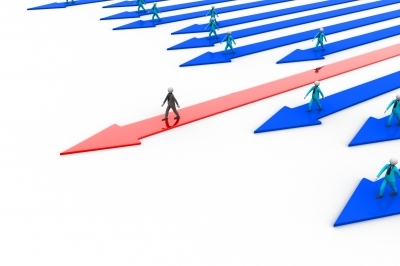 In order to gain trust, leaders must also be open about their weaker sides. Being a leader inherently means making choices and not every single choice a leader makes is going to be the right one. Leaders who are willing to address mistakes candidly are not only more apt to gain the trust of their followers, they are more likely to harness learning from those experiences. If leaders can be authentic and open about their whole self, including vulnerabilities and weaknesses, people will be able to identify better with them, and make informed decisions about whether or not to follow. The time of listening for the beat of a drum to learn the news of our distant peers is long gone, but our need for connection and communication is still great. Through openness and transparency, leaders have the opportunity to generate trust and increase value. Balancing the evolution of technology, while embracing transparency along with the other mindsets of sustainable leadership will help leaders develop long term powerful impacts that get to the root of some of the world's most pressing challenges and opportunities. —Shey Yearsley, reprinted with permission. Brian Dawkins embodied in his presence and his speech how sustainable leadership mindsets could shape success: he demonstrated how these mindsets could be so powerful in accelerating performance, both on the field and off of it. He spoke candidly about the ways that accountability and alignment have helped carry him gracefully into life after football. Dawkins was not afraid to about the healthy dose of fear that permeated his pre-game preparations; he described how he would look around the locker room and fear letting his team-mates down. His fear was mitigated by two things: trust that his team mates were prepared their best efforts to the field and knowledge that he had put everything into being prepared and disciplined for that game. His accountability to himself and his teammates contributed significantly to their success on the field. "You have to be accountable to yourself, your heart, and your team" Dawkins explained, helping us understand how his accountability made such an impact because it was so well aligned with his own personal vision and belief. It is easy to imagine the level of intensity Brian Dawkins brought to his game, just as it is easy to idolize and revere the performance of so many great athletes around the world. Their ability to optimize their strengths and perform at the highest level is one of the reasons we are so drawn to professional sports. But what more could we learn from them? What struck me most about Brian Dawkins was that he was so very human. His approach to life, to success and to performance was one that you or I could adopt just as easily. You don't have to be a pro football player to ask yourself "what is stopping me from accountability to myself, my heart and my team?" You just might surprise yourself with what you could achieve when you are aligned and accountable. Written by Shey Yearsley reprinted with permission. This video caught my attention because it is sending a message about the importance of our most basic form of communication; face-to-face. Our richest source of information about others comes from 5 channels, face, body language, voice, verbal style and verbal content. Look Up starts with a poignant few words "I have 422 friends, yet I am lonely." In a nutshell the 5 minute video is summarized - yet it conitnues for another 4:55 making its case for why we need to look up and prioritize human, face-to-face interaction. At 0:09 as Gary Turk, writter and performer in the video says "none of them really know me" watch the facial expression that follows. Interesting timing for the unilateral smirk (universal signal for contempt). As we know with facial expressions of emotion, we can tell what a person is feeling but we do not necessarily know why. Context helps to fill that gap and narrow down the hypotheses for behavioral clues. This is why probing into the why is just as important as observing and noticing sublte cues such as micro and macroexpressions that people give off. When we think about the people in our lives we typically do so in terms of questioning the past or trying to predict the future. We wonder why we behaved a certain way or imagine how someone will react to news. The present however, is often elusive. That's because we don't have the capacity for deduction in-the-moment. We're not movie cyborgs equipped with millisecond data analysis in our periphery. We can't evaluate while we're in the process of real-time interaction. Well that's what we've thought. But what if our brains were actually conducting real-time analysis and feeding us data through our emotions? That is the crux of what Malcolm Gladwell described in "Blink" as "rapid cognition". Humans developed a rapid cognitive process through which, for instance, we recognize signs of danger before we begin consciously deciphering what we see, leading to the often misunderstood notion that we possess extra-computational powers of observation, or a 'sixth sense'. Gladwell's work helped to demystify "thinking without thinking" related to external stimuli. In addition we are learning from the scientific community that this snap-perception capacity of humans is also present in social interactions. We use them in every situation from the mundane to the romantic to the dangerous. Daniel Goleman explains our ability to very quickly 'get' an interpersonal exchange in his book "Social Intelligence", which details the study of social neuroscience. As an example Goleman reports; when a woman, who a man finds attractive, looks him directly in the eye, that non-verbal exchange triggers the release of dopamine in the man's brain. (Dopamine is a neurotransmitter associated with pleasure.) There is a measurable physiological reaction to the eye contact. This is because, as Goleman explains, "This science tells us our brains are mainly designed to connect to the brains of other people." Our capacity to recognize the essence of a situation is not limited to (cue the music) "when we see a stranger across a crowded room". 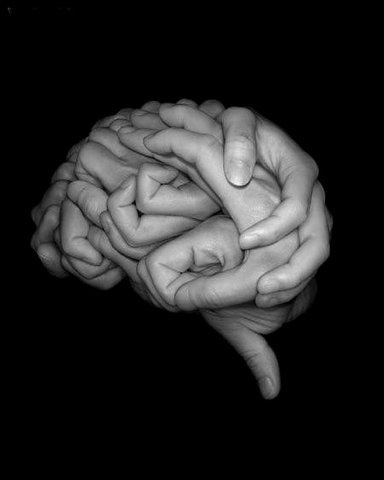 Our brains can detect hundreds of nonverbal messages in others which trigger emotional and physiological reactions in our brains and bodies. So why don't we act upon what we're feeling? The problem is we tend to think too much. We rationalize our feelings (perceptions) as emotional and therefore invalid because we've been taught that emotion and logic are mutually exclusive. The truth is emotions are integral to effective human behavior, not in conflict with it. The better approach is to learn to recognize emotions, understand their triggers and train ourselves to discern the truth - to increase our social/emotional intelligence through training and practice. Although we perceive and react to stimuli in a sort of subterranean cognitive process, the action happens so rapidly we don't notice it on a conscious level. We react to it on an emotional level - what we do unconsciously during that process is counter with shifting body language or we leak out our feelings through micro facial expressions. These movements create a reaction in the other person and the cycle continues in a constant loop. Events happen in totality and with good reason. Our survival depended upon understanding the biggest possible picture in the shortest period of time. Our brains evolved to help us consolidate so for example, we don't separately remember potatoes, salad and chicken; we remember dinner. This same ability can make social interplay complicated. It's only after a conversation or some other exchange that we disaggregate the collective aspects of the event, often second-guessing our actions and reactions. We don't need to have these low-grade regrets. The science of social intelligence tells us we can slide the description of human interaction from the complicated to the complex, making it less cosmic and more deductive. The goal is to understand the science of human interaction, to learn how emotions drive behaviors and to learn to recognize emotions in ourselves and others so that "in the moment" we can understand what is transpiring. We can learn to embrace the good in a situation and be wary of what is less so. You will be astonished by what you see once you know what to look for. The Emotional Skills & Competencies (ESaC) courses have brought together an impressive group of delegates with so many unique backgrounds, cultures and experiences. From entrepreneurs to seasoned IT managers to high level HR recruiters and consultants to psychologists and therapists, to financial advisors and recent college graduates just starting off on their professional careers. Each person successful in their own right - and each recognizing that emotional awareness is a crucial part in their ongoing personal and professional development journey. - How well executives handled their own emotions determined how much people around them preferred to deal with them. - The most successful recruiters in the US Airforce scored significantly higher in emotional intelligence competencies. - Financial advisors of managers trained in emotional skills outperfomed (grew business by 18.1%) the financial advisors who worked under untrained managers (grew business by 16.2%). - Employee retention was higher when selected for emotional competencies. In addition performance was significantly better. The executives selected tended to perform in the top third based on salary bonuses for performance. - Accurate self-assessment was associated with superior performance. One of the things that we often fail to realize is that emotional awareness is a skill, just like technical know-how is a skill that is built over time with experience and training. We can build upon each emotional competency to improve our emotional lives by realizing the impact that our emotions and the emotions of others have on our performance and using it mindfully and responsibly to nurture relationships that are at the core of business, family and friendships. 1. Increasing self-awareness of when we are becoming emotional. One of the hardest skills to develop but also one of the most rewarding. Having emotional self-awareness allows us to build-in an opportunity for choice about when you are emotional. While we cannot stop ourselves from becoming emotional, we can choose how to act and how to channel that energy into a constructive reaction. 2. Choosing how you behave when you are emotional. Emotional reactions can either be constructive or destructive. While emotions have evolved to help us deal with situations that need quick reaction without thinking - sometimes they get us into trouble. There are times when our emotions get in the way of collaboration. Often, it is only after the episode that we realize the damage they have caused. 3. Increasing awareness of the emotions of others. Sensitivity to the emotions of others and having the insight and awareness to respond to the emotions of others forms stronger bonds and connections. Both verbal and nonverbal channels offer rich cues to another persons emotional state. 4. Using the information we have about others wisely. Sometimes people prefer to hide how they are feeling. Despite their best efforts, emotions can leak - usually through facial expressions. The information provided unbeknownst to the person needs to be handled with care. Responding appropriately to what we see is key. This is where empathy plays an important role and the ability to respond effectively to build stronger and more productive relationships. The great news is that our emotional competencies can be developed and improved, but the intention must be there. Armed with the 4 core skills and the knowledge, provides the foundation for immediate application. Increase your EQ and start inspiring! As part of success in working life is our abilities to build, maintain and grow relationships with others. Often this begins with a first meeting; maybe in an office, at a networking event or just socially. How well we as individuals manage that interaction is important. I was talking to someone recently and they asked me that often dreaded question of "so what do you do then?" The whole idea of an 'elevator pitch' bothers me a little and yet there are practical elements that can be of use. In my best succinct response I said "I specialize in emotions and their impact on people and performance." Feeling quite proud of my 11 word response I was met with a reply that triggered an emotional response in me, the emotion in particular was anger, only mild anger, maybe more frustration and triggered all the same. This is important as the classic cliche says; 'you never get a second chance to make a first impression'. If we are to navigate this initial meeting successfully, how aware are we of which emotions we may be experiencing and what called them forth? Bearing in mind I am painting myself as someone that specialises in emotions it is good that a) I am already aware that this is a trigger of mine and b) that I can manage my responses to choose an action that will harness the emotion in a constructive (rather than destructive) way. One thing that is really important to me is taking every opportunity to increase awareness of emotions in general and/or their impacts on individuals. So I decided to seize this opportunity while it presented itself. To begin, the anthropological angle. Confirming that this is something he was familiar with, I said that it is interesting that the 3 drivers of our species can (and regularly are) trumped by emotion. Met by a confused face I decided to elaborate. The will to survive can be overcome by extreme sadness or despair and end in suicide. The drive to reproduce can be paralysed by fear meaning little or no intimacy. If we perceive the food presented to us to be disgusting we will starve instead of eating it. There are many more possible examples and yet all three of these show how emotion can be more powerful. To me, emotions are the exact opposite of soft and fluffy. I went on to explain that if this is the impact emotions can have on our primal motives what about more day to day stuff like our relationships at home, or at work? That is where I help those I work with. Maybe I should say that instead next time? What are your thoughts on emotions? How do you see, hear or feel them affecting you? If you want to read more about emotions and how I see their impact in the workplace please visit my blog http://e3ctc.wordpress.com/. You can also follow me on twitter @philwillcox. Or if you want to visit my website it is here www.e3ctc.co.uk. Paul Kelly serves as the Director of Law Enforcement and Security Workshops within North America for the Paul Ekman Group. We had the opportunity to meet Paul at one of our Evaluating Truth and Credibility workshops, when he joined us as an observer last year. Paul has an amazing background with equally entertaining stories about his experiences. It is no surprise given his bio encompassing studying Chinese to serving in the Secret Service, the NSA and working in the White House. Paul is also one of the very few people recognized as a Truth Wizard in the research by the late Dr. Maureen O'Sullivan - out of 20,000 people studied, 50 emerged as natural lie spotters. Recently, Paul Kelly served as the technical editor for Unmasking The Social Engineer and is interviewed for a podcast on social-engineer.org. Paul shares what fundamentally changed his interviewing techniques and his perspective on communciation. Paul talks about how awareness is a critical component of interviewing with active listening and observation skills being at the core. In his storytelling manner, Paul describes an experience in Afghanistan where he saw a micro expression during a meeting that offered unique insight into the relationship and the situation he was in. Although Paul cautions that jumping to conclusions can be very dangerous. Micro expressions tell us that an emotion is occuring but it doesn't tell us why the emotion is being felt. So the key to responding to a micro expression is to consider the plausible reasons and explore through conversation or questioning to get to the bottom of why the micro expression occurred. One of the unique qualities of truth wizards discovered during research and that sets them apart in their abilities is the process of listening and observing without bias. Truth Wizards take their time in assessing what they hear and see without jumping to conclusions and considering the data logically, thoughtfully while controling their own emotions. Paul also shares some of the critical factors that play a role in creating leakage and hotspots that us as observers are looking for when evaluating for truthfulness. Contextual and psychological elements such as stakes involved (includes preceived reward or punishments), the relationships of the liar to the lie catcher, the liars past experiences, all can have an effect on the success of the lie. What Can Hockey Teach Us About Empathy & Leadership? Nicholas Evlampios Fotiu was born May 25, 1952. He grew up in the New York city Borough of Staten Island. In July of 1976, Nick signed a contract to play in the NHL for the New York Rangers. He was a former semi-pro boxer who didn't learn to ice-skate until he was a teenager, rare for a player in the National Hockey League, where most have been skating and playing the game since before grade school. He would get up at 3AM, then take two subways and two buses to the hockey rink in New Hyde Park to practice on the rink before reversing the journey home so he could go to work. His tenacity paid off. His toughness may have outpaced his skill level, but he was a local hero to Ranger fans. Prior to Nick's joining the team, the Rangers were knocked around by the opposition. That changed when they signed Nick. Infamous Hockey tough-guy Dave "The Hammer" Schulz said in his book that Fotiu was the only player in his career who he was scared to fight. But what endeared Nick to the Ranger fans was not his physical toughness, though that was a big part of it. Fotiu is illustrious around the NHL for a ritual he conducted after the pre-game warm-ups at home games. Nick would skate around the ice, throwing pucks deep into the Madison Square Garden 'Blue Seats', the bleachers high in the arena where the local fans bellowed with enthusiasm. Certainly his fierce checking and willingness to 'drop the gloves' could fire up any game but when Nick threw those pucks up to the Blues, the Garden would rock with enthusiasm, Nick wasn't just pulling a stunt; he was demonstrating empathy. His simple act of kindness, generosity, compassion and the remembering of his roots made him one of the all-time favorite players in Ranger history. Because Nick understood the emotional attachment those fans had to him and the game, he was admired. Nick Fotiu, the moderately skilled, pugnacious hockey player, was an authentic sports hero. Mark 'Moose" Messier is widely considered hockey's greatest captain and one of the best leaders in all of team sports. Mark played for 25 professional seasons in a physically demanding, often brutal sport. He is a Hall of Fame player who won six Stanley Cups and is the only player to be the captain of two championship teams, The NY Rangers and Edmonton Oilers. In a 1996 Sports Illustrated piece about Messier, Michael Farber said, "...fans in NY think Messier is a typo for Messiah." When Darren Langdon was called up from the minors to play in his first NHL game, he found a Hugo Boss suit hanging in his locker with a note attached, "from the team", that 'team' was Messier. Players and coaches have compared him to Patton, MacArthur and other leaders from history. So what one word describes his style? Messier - "To lead, you have to have the trust of the players, and to do that you have to find a way to connect with them, to find common ground with every individual. It's a people issue, not a sports issue. The way to find that common thread is compassion." For Mark Messier, who now runs leadership camps, it's all about understanding the emotions that can tear a team apart and those required to win, but it's always about the team." When his number was retired he said, "My jersey hanging from the ceiling is going to be a symbol of the hard work of those I played with." For great leaders empathy is something to be fostered. To ensure this, a leader must be honest and authentic in demonstrating humility or be perceived as a phony. The Hockey Messiah once said, "There were a lot of people that helped me along the way, too many right now to name. But nobody can do it on their own, nobody can win a team sport on their own and nobody can be a leader on their own. And I had unbelievable help along the way." In 1994, the year the Rangers won the Stanley Cup after a 54-year drought, there came a time the team was in danger of being knocked out of the playoffs. Messier had a private meeting with Coach Mike Keenan after what Messier believed to be an erratic and selfish performance by the coach the night before. To a man players said everything changed after that meeting. No one knows what was said, but the players all believed that meeting changed their destiny. Messier knew what the team needed to win. He understood the emotional drivers of team sports. "As a captain, I think it's important that the players really know who you are and what you stand for, what your beliefs are, and to be consistent in those if things are going good or things are going bad." Universality Challenged: Facial Expressions of Emotions not Culturally Universal?